As expected, the Redmond giant has launched the Dual SIM versions of Lumia 640 and Lumia 640 XL smartphones in India. The Lumia 640 is priced at Rs 11,999 while the bigger phablet version Lumia 640 XL will be priced at Rs 15,799 and will go on sale on Flipkart from today. You can buy among 4 color options i.e Black, White, Cyan and Bright Orange. As far as specifications go, the Lumia 640 has a 5-inch HD (1280×720 pixels) ClearBlack, IPS LCD display with a pixel density of 294ppi. The screen is protected by Corning Gorilla Glass 3. Under the hood, a 1.2GHz Snapdragon 400 quad-core processor, paired with 1GB of RAM. The Lumia 640 XL sports the same hardware as its smaller version, but has a bigger 5.7 inch HD display, protected by Corning Gorilla Glass 3 plus ClearBlack tech for sunlight readability. A massive 3000mAh battery and in the camera space, a better 13MP AF camera with Zeiss optics and LED flash. 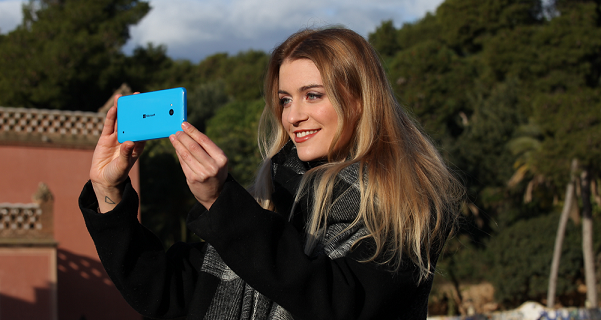 A 5MP Front-Facing HD shooter, great for selfies and video calls through Skype. Both the Lumia 640 Dual SIM and Lumia 640 XL Dual SIM run with Windows Phone 8.1 with Lumia Denim update out-of-the-box. Microsoft has additionally launched a slew of offers with the 640XL. Mobikwik is giving away an online recharge cashback worth Rs 1,000, redeemable with a minimum recharge of Rs 200 per month for five months. Olacabs is offering a cash back worth Rs 800 on Ola money recharges where consumers will get Rs 200 cashback per recharge for the first four recharges of Rs 500 or higher. What do our readers think of the pricing? Are they overpriced, considering the competition in the growing smartphone market like India ? Do you plan to buy one? Share your thoughts with us in the comments below!